Timely roof replacement is essential to maintaining the condition of your home. Otherwise, weakened materials may allow the outdoor elements to find a way in and jeopardize the integrity of the structure. The best way to determine when to call for a professional roofer is to familiarize yourself with the top five signs of roofing deterioration listed below. Materials that have been exposed to the elements for many years will start to show signs of discoloration. Whether it’s a couple of shingles that seem out of place or an entire section of the roof, neglecting to have them tended to by a professional could result in a gradual disintegration that will leave the roof susceptible to interior damage. Shingles that can no longer provide the protection your home deserves will begin to buckle and bend. This will draw the edges of each shingle away from the roof’s surface, increasing the chances of water seeping through to damage the interior of your home. 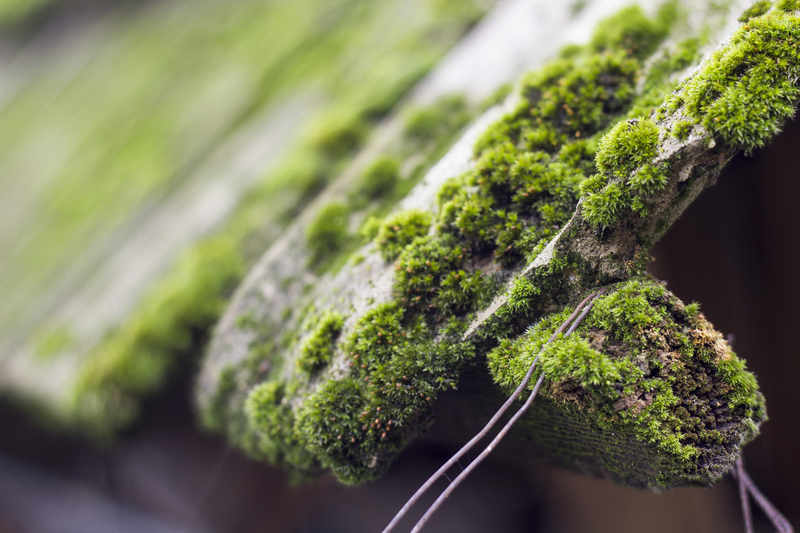 If you spot moss on your roof, it is a sign of deterioration. The roots secure themselves along each of the shingles and gradually wear them down to a point of decay, reducing their ability to prevent the elements from working their way into your home. Visible water damage along the ceiling is an immediate indicator of a leak. While this could be from an issue with your plumbing system, there’s always a chance of a weak spot along the surface of the roof. Getting this inspected will keep the problem from getting worse and could reveal what your next step should be. Shingles that have reached the end of their lifespan will begin shedding granules every time it rains. These tiny particles can usually be spotted within the gutters or along the foundation of the house. If you notice granules around your home, schedule an appointment with a roofing contractor. Maintain your home’s condition with the help of Pinnacle Roofing & Siding. As the premier roofer in Lancaster County, this locally-owned company provides affordable services to both residential and commercial clients. They source all of their materials from regional suppliers and strive to implement the most efficient techniques in every roof replacement. Call (402) 560-0232 to speak with a representative about scheduling a free estimate. Get a glimpse of their past work by visiting their online gallery.